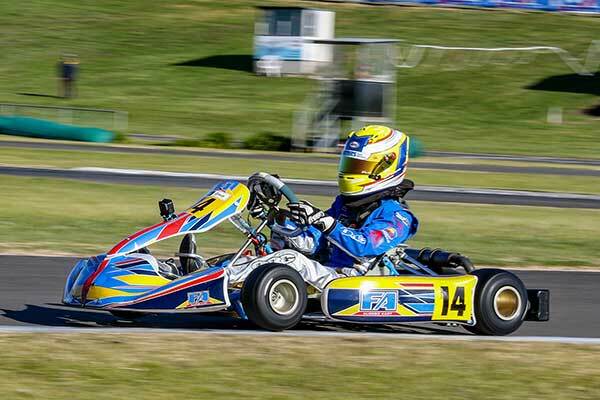 Karters from all over New Zealand are heading to Hawke’s Bay this week to help the local KartSport club celebrate a significant milestone, the 50th anniversary of their ‘Blossom’ sprint meeting. 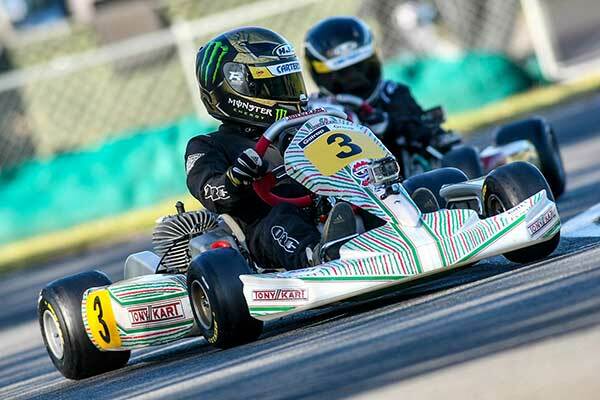 The annual two-day meeting at the KartSport Hawke’s Bay club’s Carter’s Tyres Raceway at Roys Hill on the outskirts of Hastings has been a fixture on the KartSport New Zealand calendar for as long as most current karters can remember. It is, in fact, the longest-running sprint kart event in the country, with the first one staged as a then-popular ‘road race’ round a street course in Hastings’ in September 1968 to help raise funds for the Hawke’s Bay club’s new sealed track at nearby Roys Hill. With its traditional first-weekend-in-September date the Blossom meeting heralds a new karting season with a unique two-day format which sees drivers race round the 687m track in a clockwise direction on Saturday then anti-clockwise direction on Sunday. This year’s Carter’s Tyre Service Blossom Festival Grand Prix meeting is the result of more than a year’s effort and planning by event convenor Alan McNicol, race secretary Debbie Anderson and – at some stage – most of the current members of Kartsport Hawke’s Bay club. With over 100 entries across 12 classes plus as many as 35 entrants for the Vintage Kart demonstration runs which have become a popular addition to the programme in recent years, the Golden Anniversary meeting will certainly be the biggest staged by the club in the recent past. 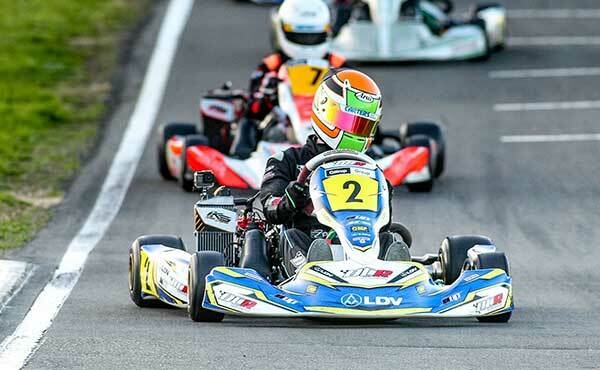 As well as some of the country’s best current karters – the likes of local second-generation racer Zac Stichbury, Palmerston North’s Jacob Cranston and the Osborne brothers, Clay and Fynn from Hamilton – the inclusion of some Yamaha KT100 classes has encouraged a number of former stars to return to the track. Top former Junior class standout Maddie Wise, now a member of Hawke’s Bay’s Hawkeyes Superstock Stock Car team is one, joining fellow former kart champion Ryan Bailey and his fellow Aucklander Aarron Cunningham in Yamaha Heavy. Yamaha Light has also drawn some big names – current as well as past – including current and multi-time NZ champ Daniel Kinsman from Auckland, and former Junior kart champion and current Porsche Carrera Cup Asia championship points leader Chris Van Der Drift, now living back in Hamilton after years racing cars around the world! A highlight for many drivers and spectators alike will be a special feature race, the Giesen Classic Cuvee Open Blossom 50 Lap Grand Prix. There is room on the grid at Carter’s Tyres Raceway for 34 karts and if it is oversubscribed entry will be at the Convenor’s discretion. There is sure to be plenty of interest too from Open and Rotax class entrants, with $1000 cash for the winner, $300 for the runner-up and $200 for third place. If the first Rotax class finisher is not in the top three he or she will also win $100. Those drivers who have entered a Yamaha KT100 class don’t miss out either. They get a standalone, all-in Grand Prix of their own, over the same number of laps as there are entrants, meaning, at last count, 17! There will be racing action on track both days with tuning runs from 9.00am and racing from 9.45am. To mark the auspicious occasion competitors are encouraged to arrive dressed in any period from the past 50 years. Spectators are welcome with entry by gold coin donation at the gate. Both days are also being livestreamed HERE.